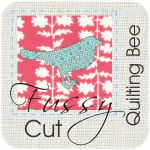 ← Squeezing in a little quilting! Yeah! It’s Giveaway Day over at Sew, Mama, Sew. I almost missed it but, Beth allowed me to slide in at the last minute! (Thanks Beth!) Anyhow, I’m giving away three Michael Miller Plain Jane Gray fat quarters (pictured) AND, I don’t have pictures of the finished item yet but, we’re making pot holders for our holiday swap at The Los Angeles Modern Quilt Guild and I’m going to include at least one of these. It’ll be a very cool pieced pot holder. I’ll pick the lucky winner by using a Random Number Generator – just comment on this post to enter! Oh, and yes, I will ship internationally! Enjoy! and make sure you stop by Sew Mama Sew so that you can sign up for more yummy giveaways. Just click on the button below! Ooh! I really like the fabrics! Thanks for the giveaway! cute fabric! a pot holder would be cute with this fabric, it would even match my kitchen. thanks. I love the fabric. thanks so much for sharing. I’ll cross my fingers for good luck! Love those colors together! Pick me, Random Generator! Fabulous and fun fabrics. I would love to win a fun pieced pot holder. Thanks for squeezing in at the last minute. great giveaway! glad you were able to sneak in! ohhh! I like the colors!! I really like the quilt you have at top of your blog. Would love to win the fabric! I love those colors! Thanks for the entry! Happy holidays! Great fabric! I’m making my way through the SMS list while I watch the last Monk tonight — multitasking! I have a giveaway, too. You’ll have to come when you have a chance. I love those fabrics! So so pretty. Oooh, count me in! I’m in the mood to sew something pretty! Oh, cute, I love those fabrics! Thanks for the giveaway! Thanks for entering me in your Giveaway Day! Can’t wait to see what the finished project looks like — the fabrics are adorable. Thanks! Such happy fabrics! Great giveaway, thanks for the opportunity! This fabric is very cute! 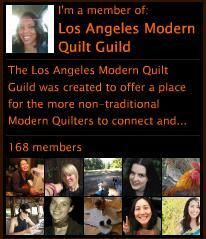 Congratulations on your new blog and the L.A. Modern Quilt Guild! My pot holders are all burned. I’d love one. Love the fabrics, thanks so much for the contest. these are great pieces! thanks! I love these fabrics! Thanks for the giveaway! Those are some great fabrics. I hope I win. Nice fabric, I like those colours a lot. Those fabrics are so cute. It makes me giddy to think of sewing with them! I’m glad you made it into the giveaway and thanks for the chance to win. Those are great! Thanks for the giveaway and the chance to win. Love the fabrics! And I love potholders, too! 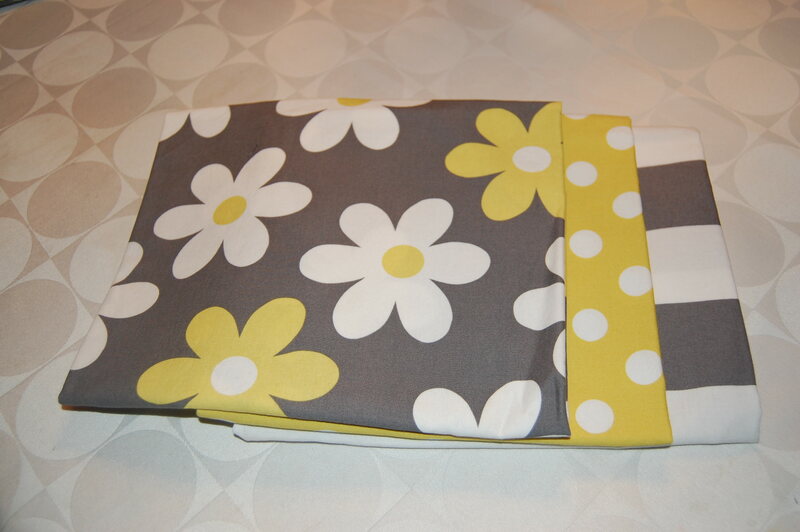 Lovely fabric – perfect for grey winter days!! I’d love to win, thanks for the chance! I’m dreaming up uses for the fabric already! How much fun are those fabrics?! Great giveaway! I love those colors, blue and yellow are my favorite. I love Michael Miller fabric. Thanks for the chance to win! Oh, beautiful fabrics! And I was just commenting yesterday that we are due for some new potholders in my kitchen. All of ours have seen better days! Thank you so much! Glad you ‘got in’. Beautiful fabrics ! I can’t wait to see how the potholders turn out ! This is a great giveaway, thank you! I love the fabric. Gray is my favorite! Crossing my fingers for this one. These fabrics are soo gorgeous, I can imagine the things I would make! Thanks for the chance at your giveaway. What a generous giveaway! Love the fabrics. I have a thing for grey lately. Thanks for the great giveaway! oh! this fabrics are perfect for a bag! Love those fabrics. Thanks for the chance to win! I love that collection of fabrics, but hate that they’re called plain jane!! So darling! I’d love them. Thanks for the chance to win! I love the fabrics. I could also really use a potholder. I always feel like I can’t find one right when I need one. wow, the fq’s are really pretty! glad you made the deadline….will come back and look awhile! thanks for the giveaway…i barely made it as well…computer problems…. Sweet fabrics! Thanks for the chance! Love the fabric and a cool potholder would be well cool. Thanks for the giveaway. Very cute fabric! Thank you for having this giveaway! Really great fabrics, love ’em! Thanks for the chance to win. I *love* grey and yellow together — what a great fabric selection. Thanks for the chance. Wow! Thanks for the great giveaway! Happy holidays! Love the fabrics. Thanks for the giveaway! Thanks for the giveaway. Great fabrics! I love those fabrics, thanks so much! I adore these fabrics! Thanks for posting. What a beautiful collection of fabric–yellow and gray. I love gray, one of my favorites. I can’t believe I totally missed getting in the giveaway this year!! But in the meantime I’m enjoying seeing what everyone is doing this year. Love your fabric – who doesn’t love Michael Miller? I love the yellow/gray combo! Great fabrics and great giveaway! Thanks for the chance to win. I love that fabric! Hopefully I’m not too late, because I love those fabrics and colors. Oh! Thank you so much for offering this giveaway. Glad you made it in on time! I love those fabrics! Thanks you so much for the chance! I love the fabric! Thanks so much! I love the fabric colors! I have not seen them before…the designs, that is. A pieced potholder would be so cool, too! I’ll run the Random Number Generator and announce the winner in the morning! Goodnight and good luck! Great giveaway! I almost missed this one!